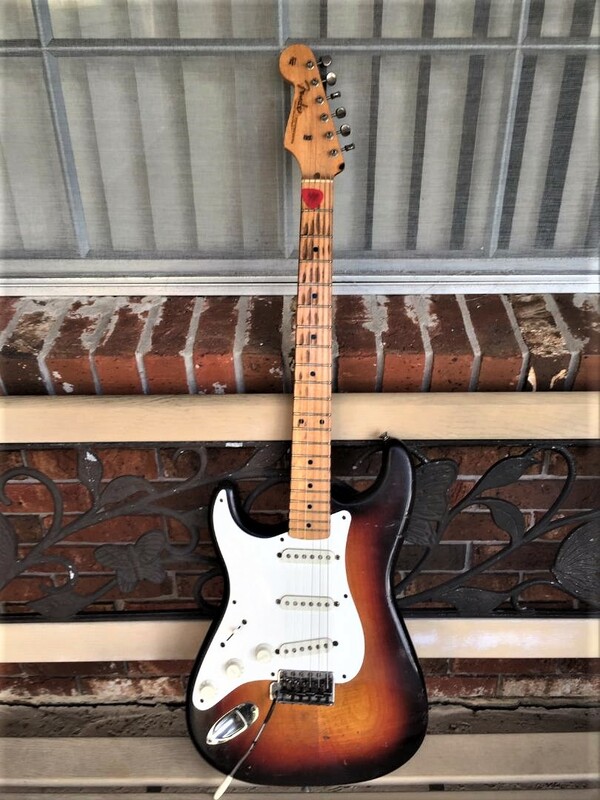 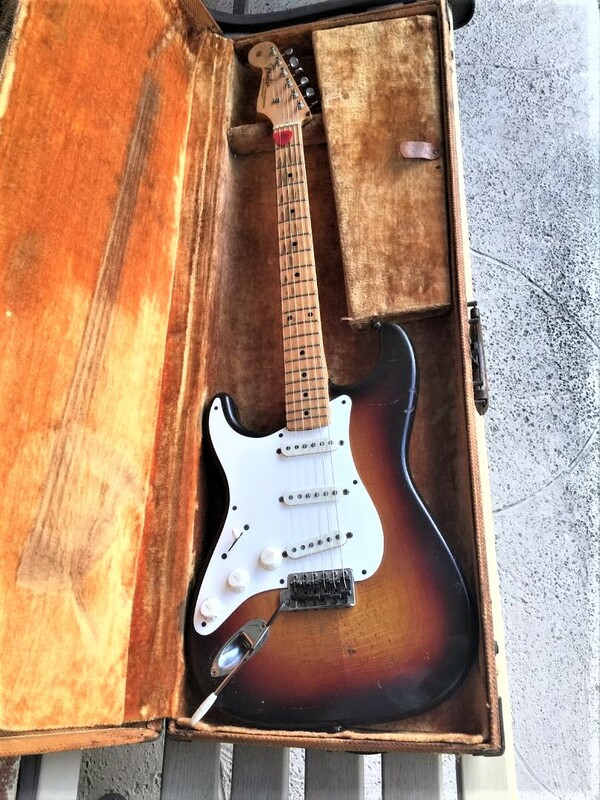 1958 Fender Strat, 3-Color Sunburst, OHSC with Gruhn Appraisal! 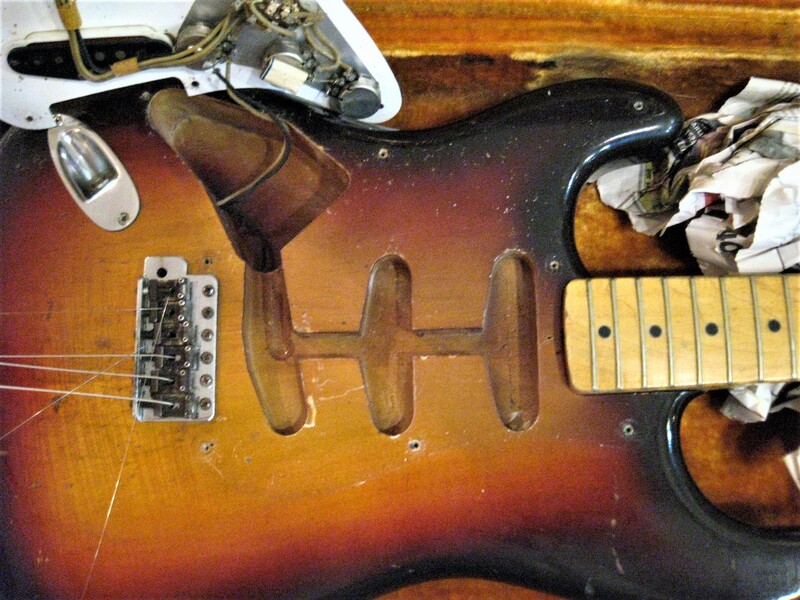 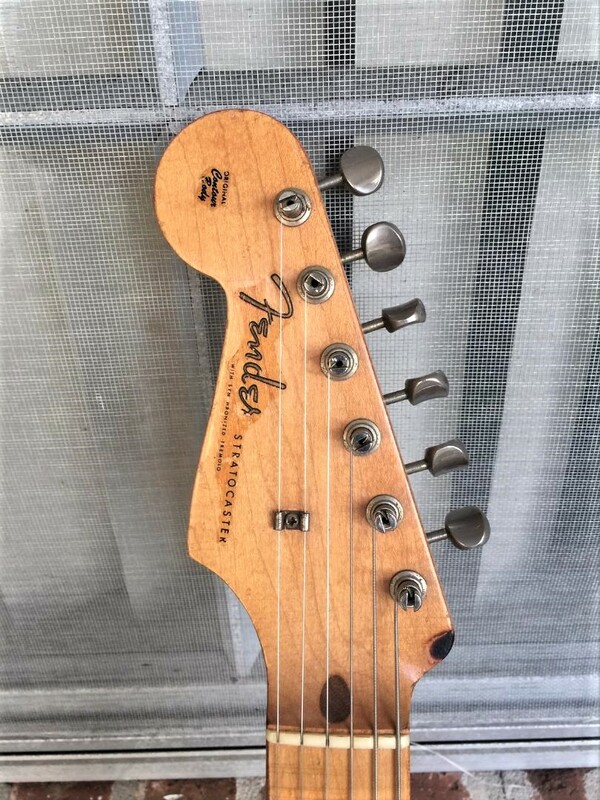 This is an original factory left handed 1958 Fender Strat, 100% original except for trem arm. 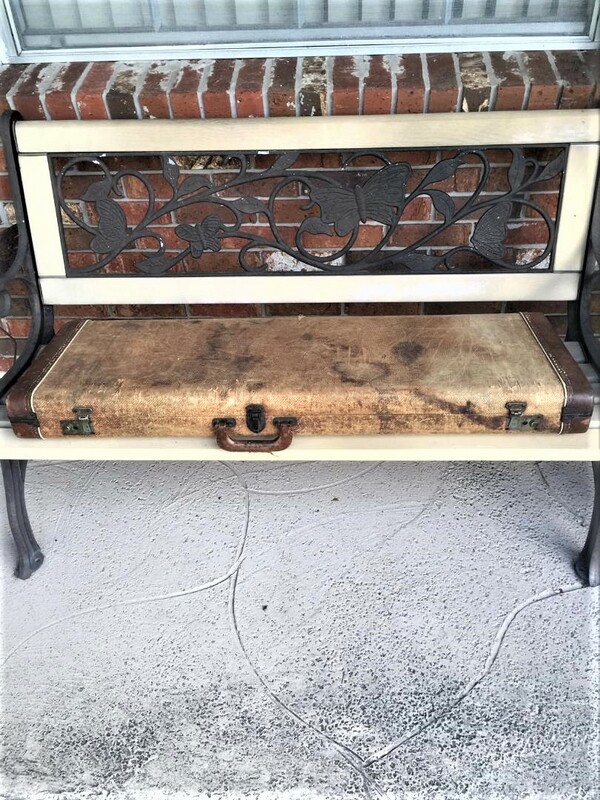 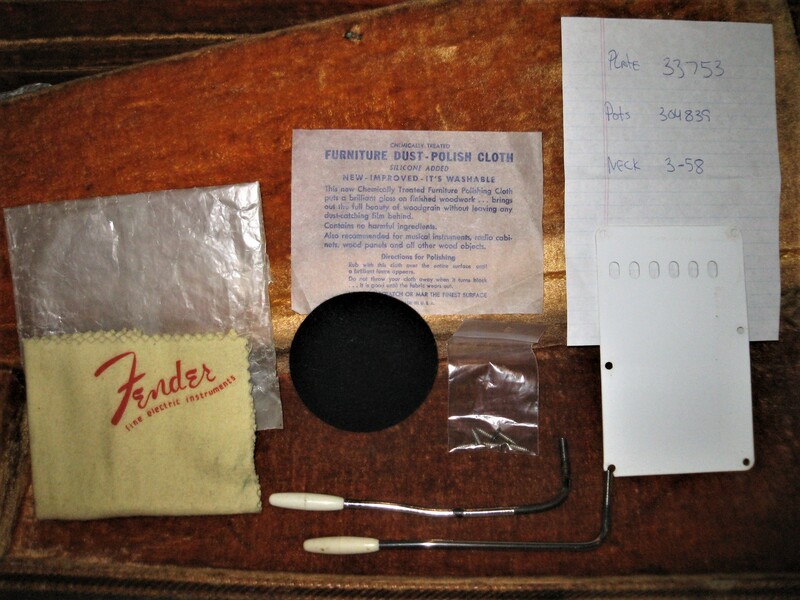 Includes OHSC, Fender polish cloth, and Gruhn appraisal from 2016. 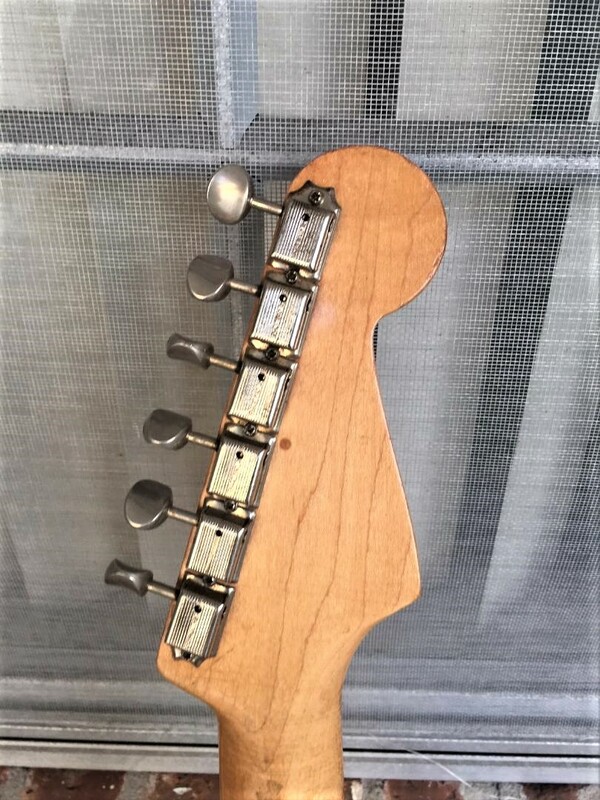 Neck from 3-58, pot codes are 304 839, and neck plate is 33753. 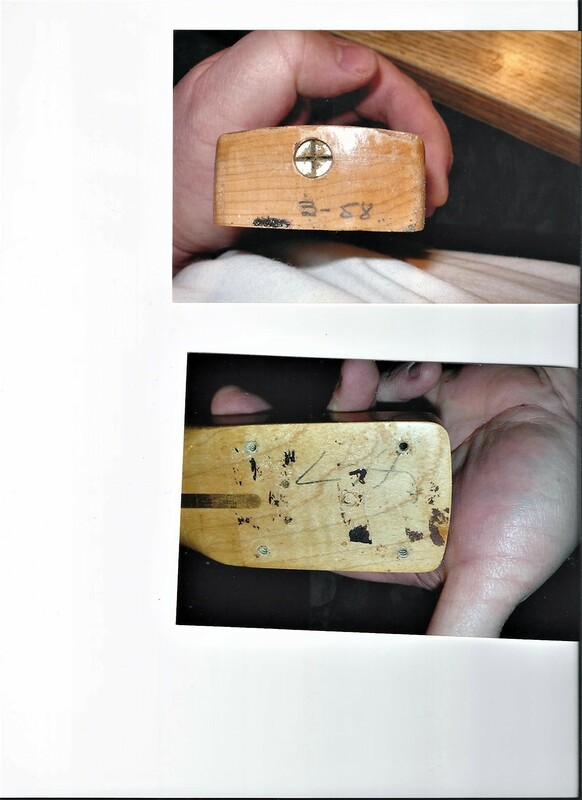 Please see pic of Gruhn appraisal for physical description. 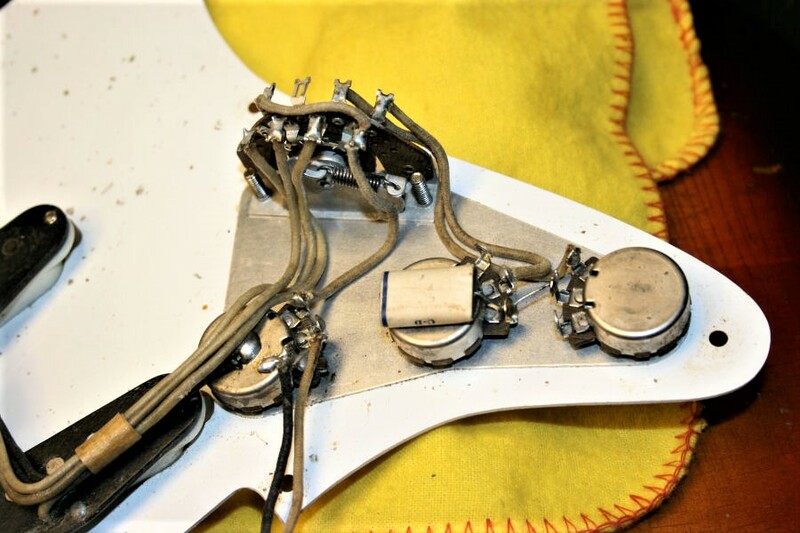 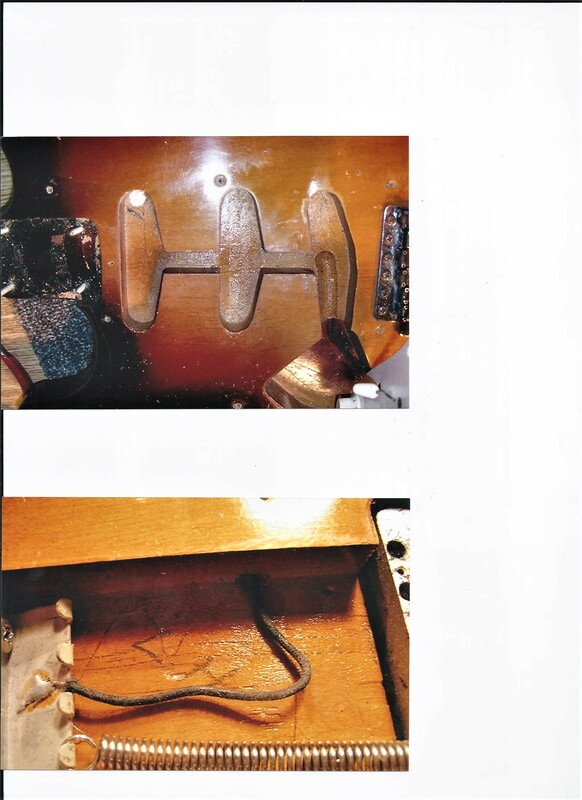 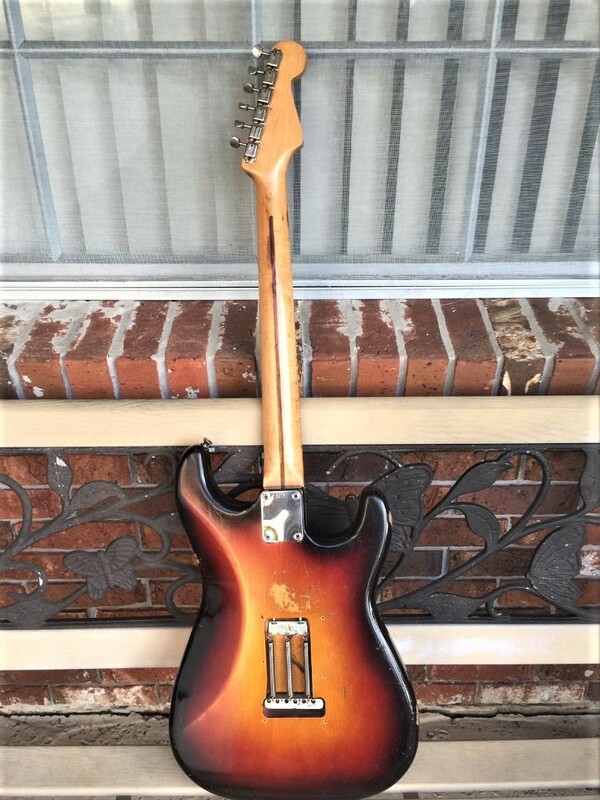 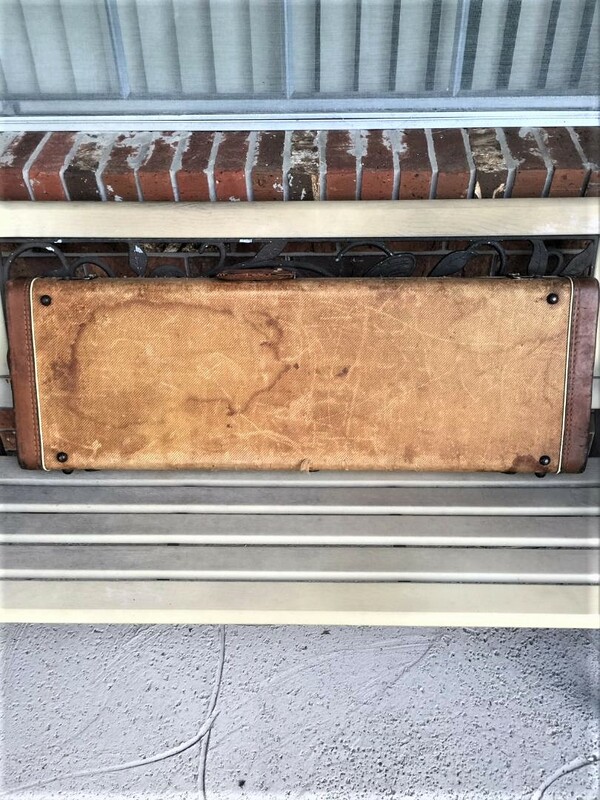 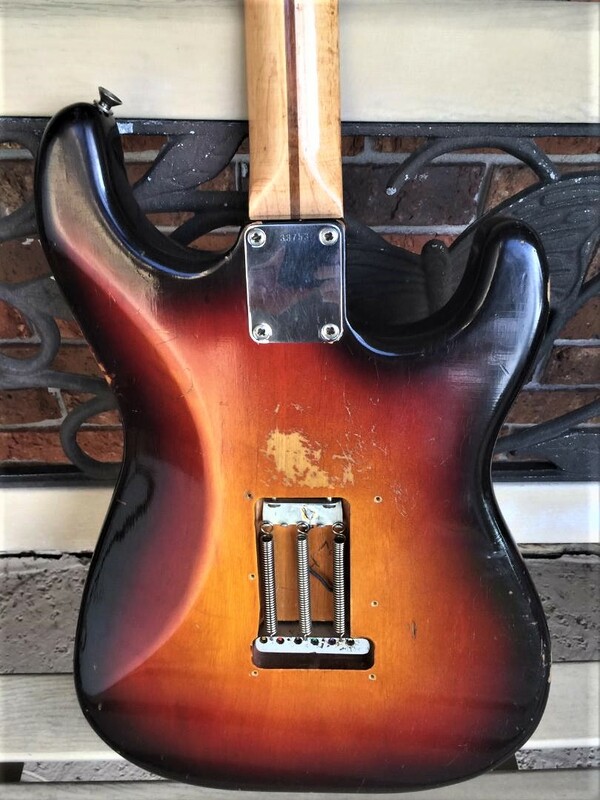 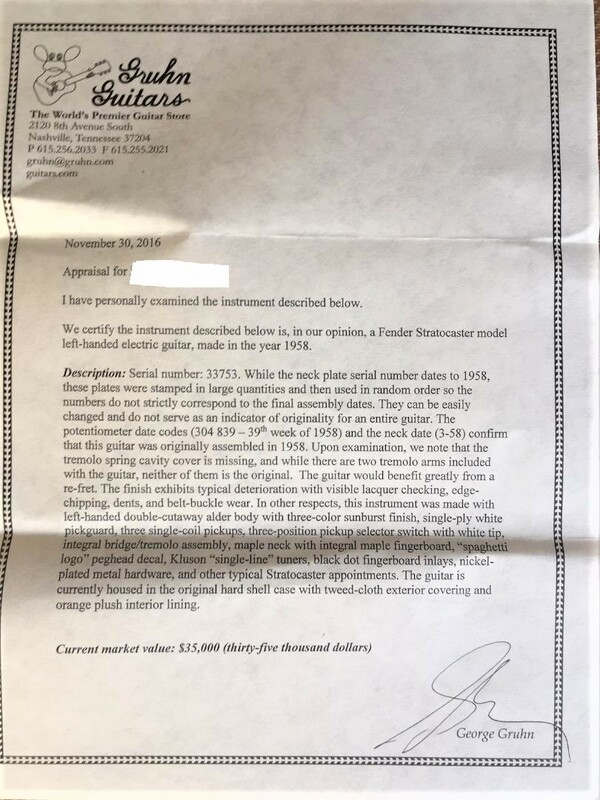 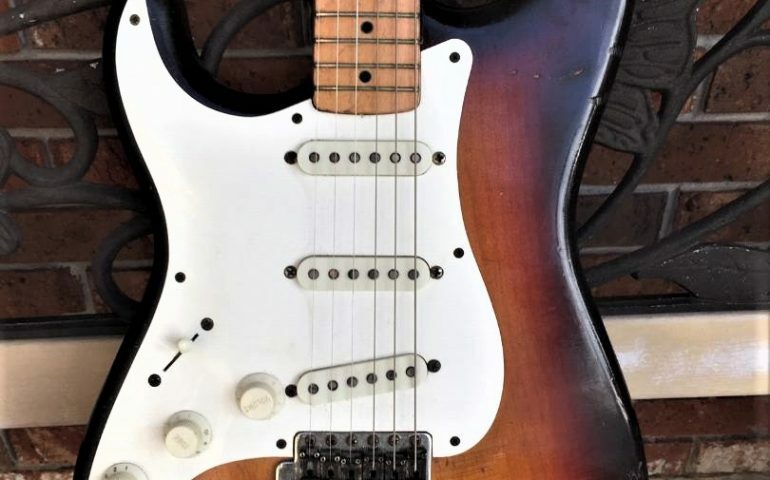 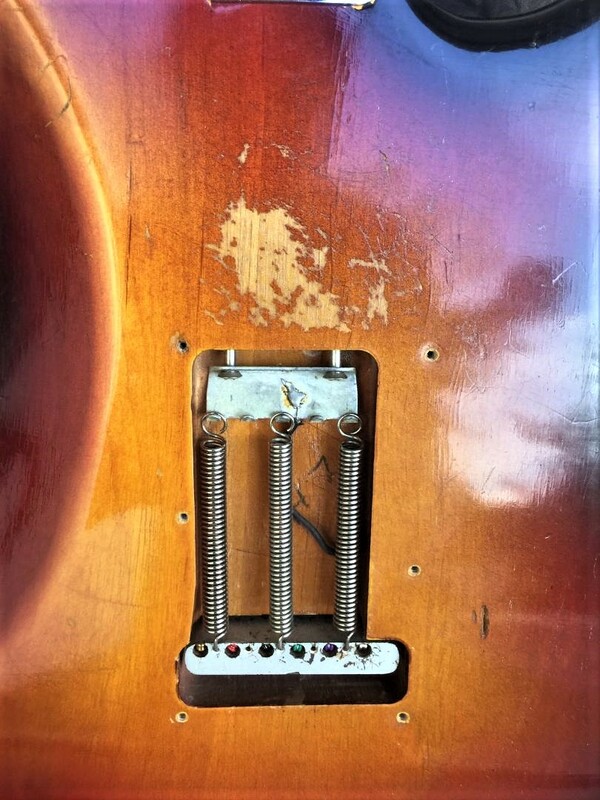 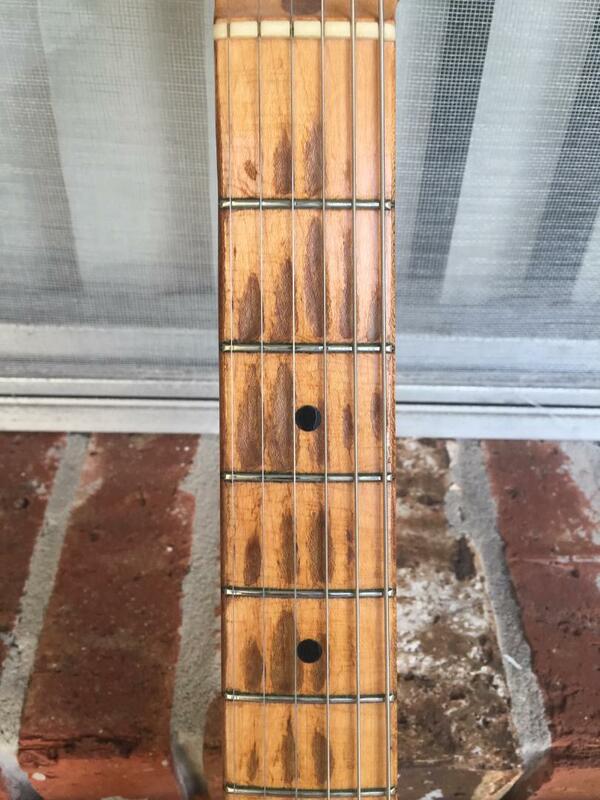 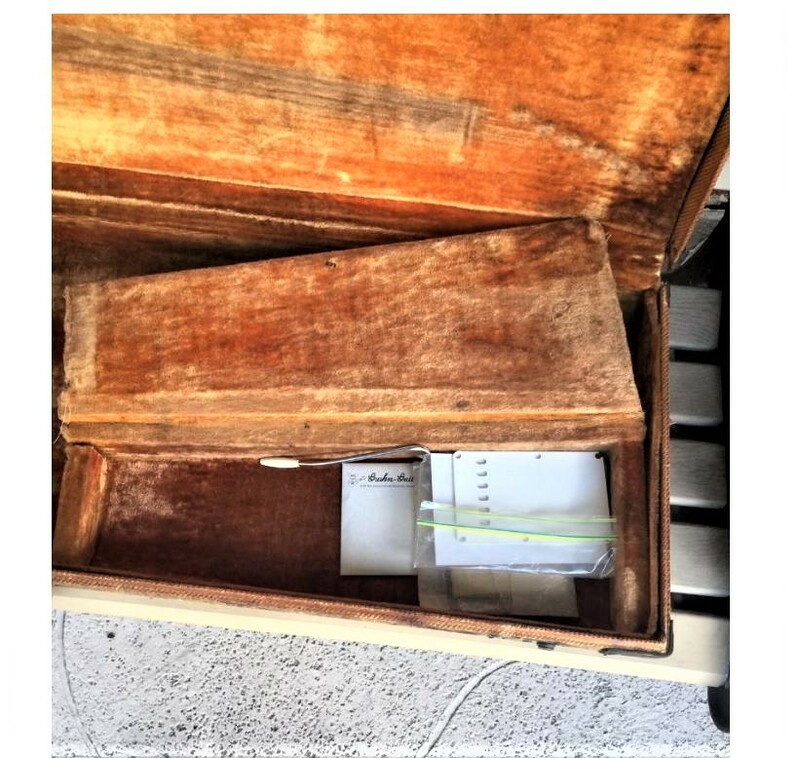 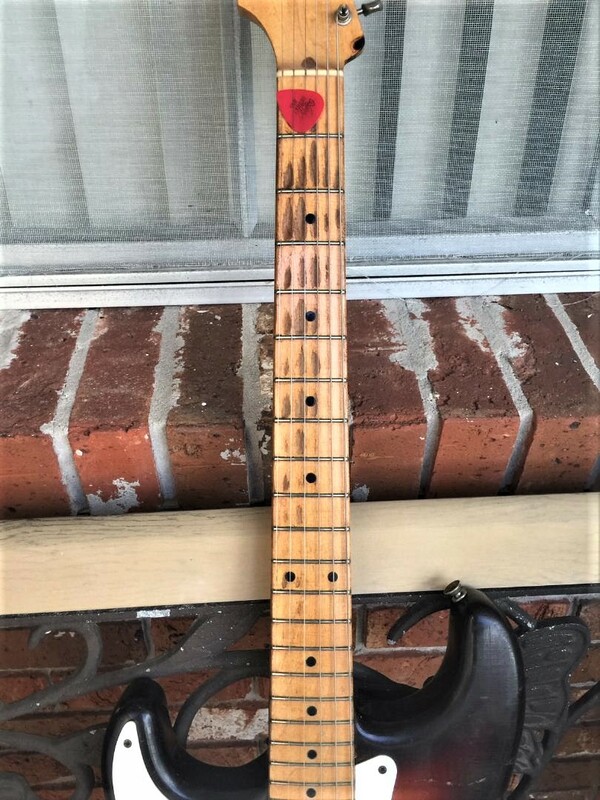 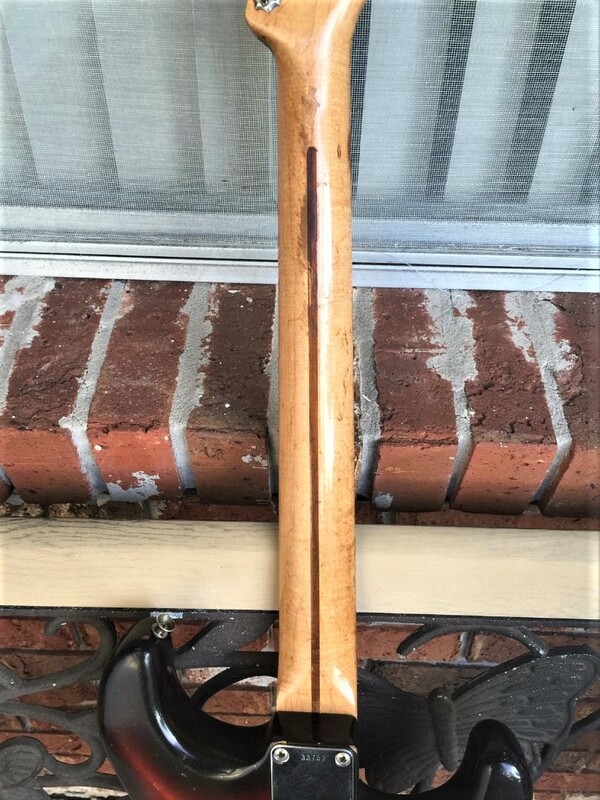 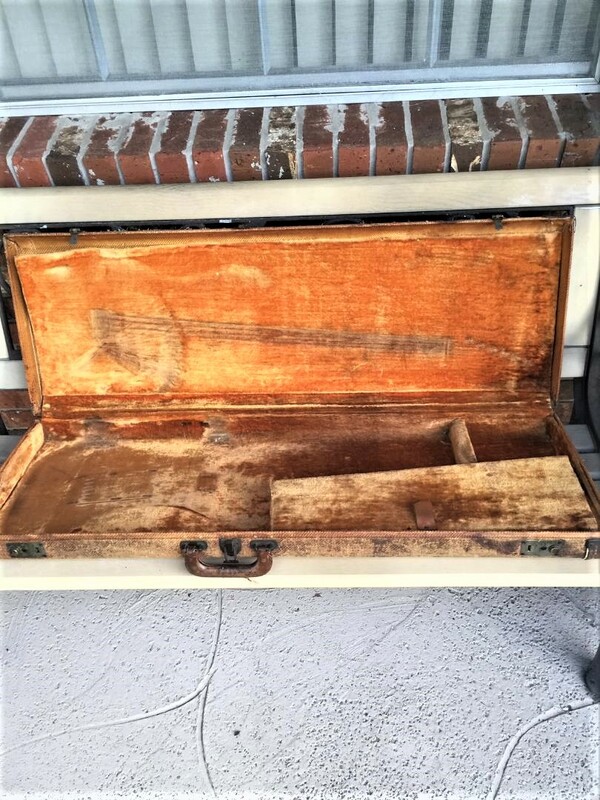 There is one correction to the appraisal: the guitar does have the original back trem cover(was not included in the appraisal). 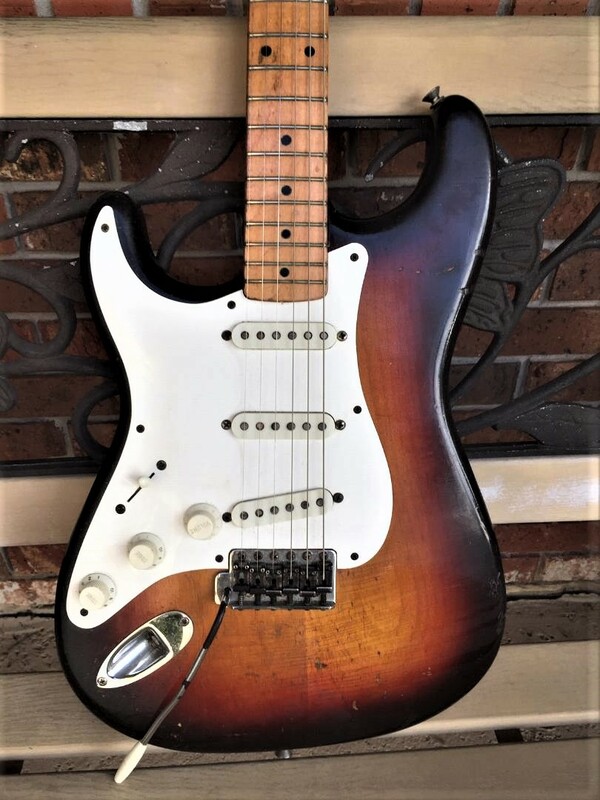 The 3-color sunbursts from 1958 were the best that Fender ever made IMO, and this Strat is a fine example of that beautiful blend burst. 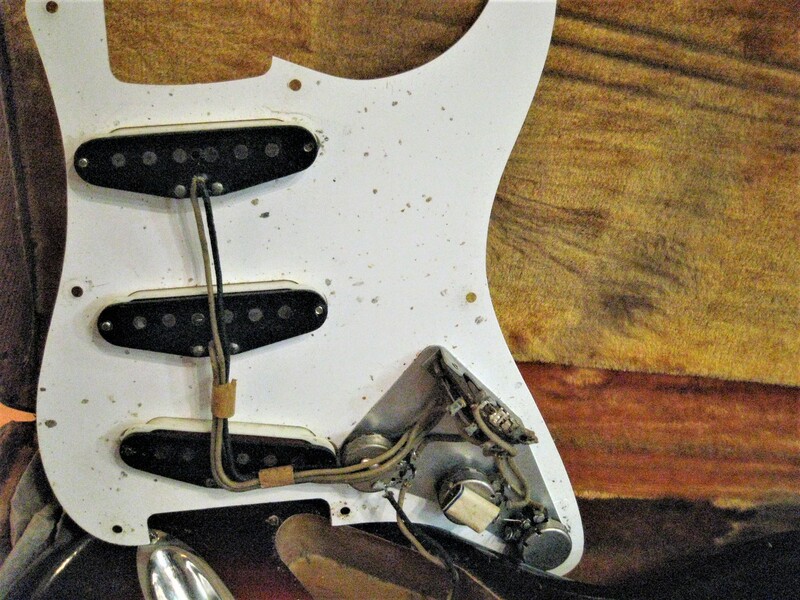 The Strat is light in weight at just over 7 lbs. 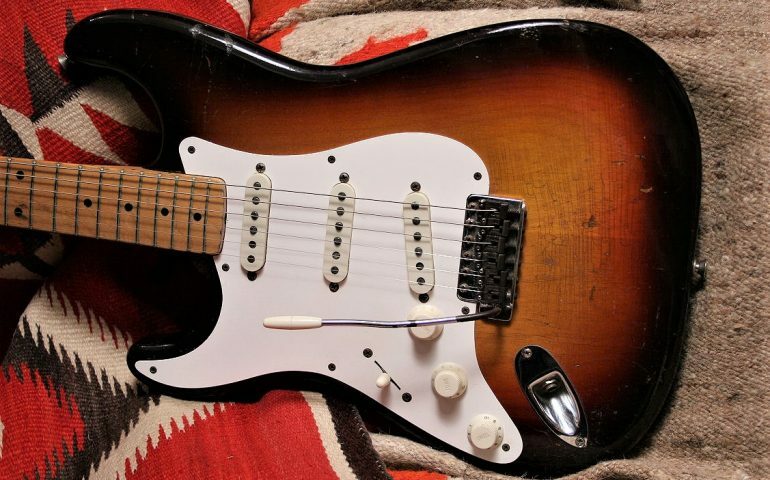 This guitar has that worn-in feel and look; you won’t be afraid to pick it up and play it. 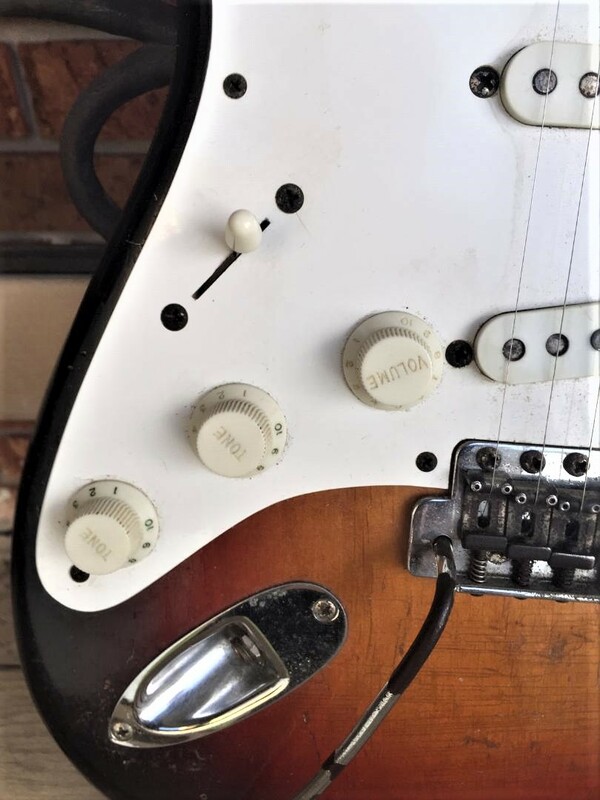 As is usually the case, the good ones get played! 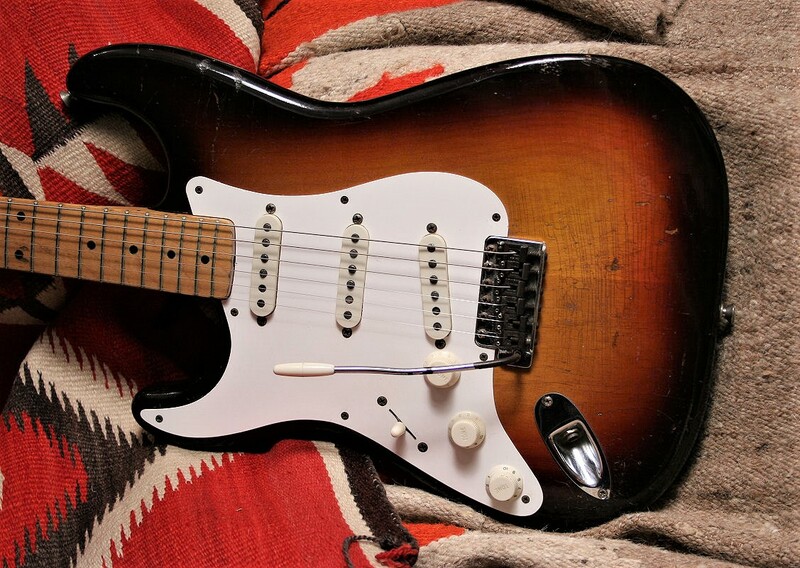 This Strat was also once at Rumble Seat Music years ago(see the pic with the Southwest-flavored blanket). 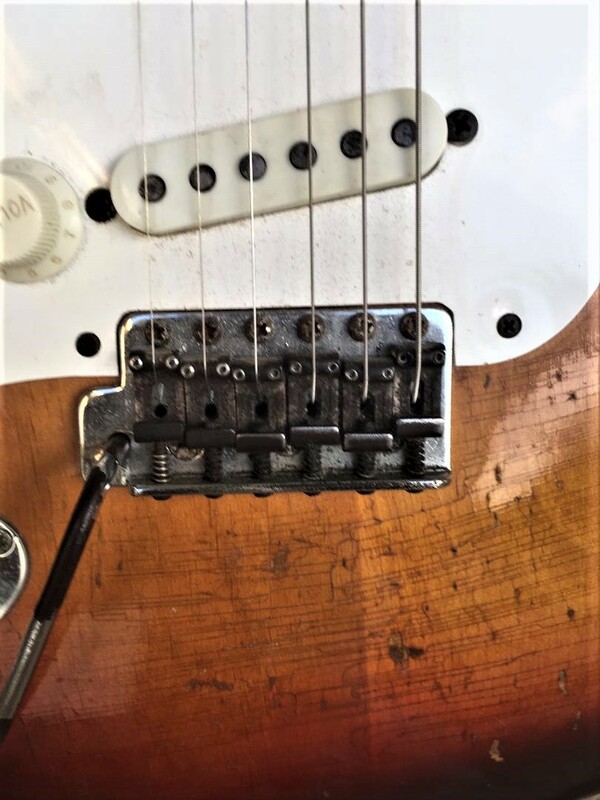 So it’s already been inspected by 2 of the top dealers in the business – take the risk out of buying a vintage left handed Strat!